In the spring, there is a very short window of time for our favorite wild mushroom to grow. 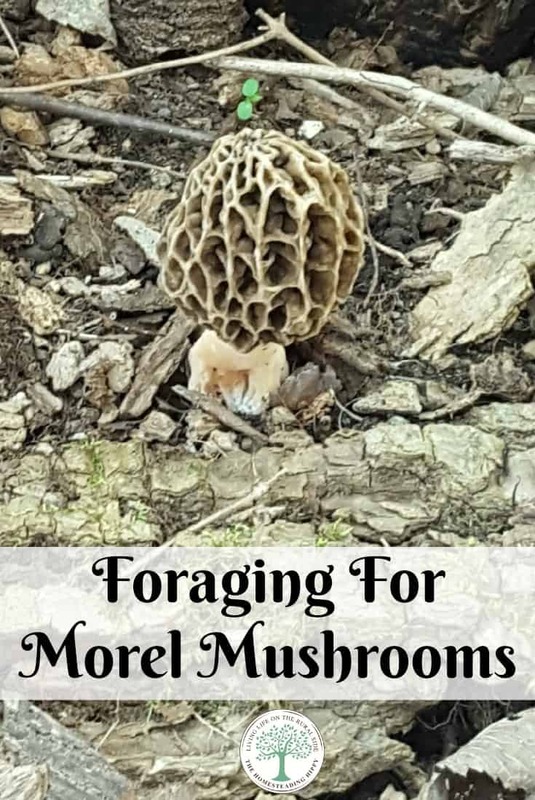 Morel mushrooms are a delicacy to go foraging for, and savored for sure! They appear just when the leaves on the trees are starting to come out, as sunlight is able to warm the earth more directly. You will most often find them from March through early June. Morel mushroom hunting is how we know that Spring is REALLY here to stay. Finding them can be easy or difficult, depending on where you live. The best places to start looking are forests, fields, orchards, and fence rows. They can hide under leaves, by trees and under branches. It’s best to keep your head down, and your eyes wide open when morel mushroom hunting. While foraging for Morels, keep in mind that where one is, others are usually close by. The spores that create morel mushrooms will often spread closely. Normally, you will be able to find morel mushrooms year after year in the same areas. As the trees break down and decompose in a forest, they will provide excellent mediums for more mushrooms to grow. Make sure to mark where you found them in a journal so you know where to start hunting the next year. To regrow morel mushrooms, take home a couple morel mushrooms, add to a blender with water and make into a “smoothie”. Then, spread that liquid around an old stump or in a shady area of your yard. This may allow the spores to spread and regrow where YOU want to find them! A true Morel will have 2 important features to look for when identifying them over a “false morel”: The cap shape and the interior. The inside of the mushroom should be hollow, and the cap will appear to be uniform, ridged, and pitted inwards. It will have a honeycomb appearance. The cap will also be attached to the stem, not free hanging like other mushrooms. A false morel mushroom will have cottony like fibers inside. False morel mushrooms will also have a free hanging cap and it may appear “wavy” or “lobed”. These mushrooms should NOT be eaten, as they may be toxic. In the world of wild mushrooms, it’s always best to follow the “when it doubt, throw it out” rule. When picking mushrooms, you will want to examine the head, also known as the cap, and the base of the stem. Notice any discoloration, as the amount of any you see can help you determine if the mushroom is still healthy or starting to decompose. Look for molding spots, discoloration, and obvious decay. Sometimes, the cap may be missing. That’s okay. It is often the weakest part of the mushroom and may have succumbed to a cold night or light frost. A 50/50 rule is generally followed. As in 50% of the mushroom should not be decayed or discolored. If it passes the test, it is picked. When collecting, it is important to allow some of the spores to return to where you found them. For this reason, do not use a paper bag or Ziploc baggie. Opt for a cloth mesh bag or an open basket. To see what else you should have with you while foraging, read here. Sometimes, people sell their morel mushrooms. Morel mushrooms price can range anywhere from $10-$60 a pound, depending on the season and location. The more abundant they are, the less the price will be. Later in the season, they can be as high as $100 per pound. Some delicious morel mushroom recipes include soups, stews, as pizza topping, or just sauteed in butter. They are light but have a robust flavor, a bit on the earthy side. What are your favorite ways to use Morels? Are you going hunting this year? Be sure to pin this for later! I love morel mushrooms. Always have. I try to leave the roots when I pick them and shake it a big before I place it in my bag. But I never thought of making a “smoothie” in hopes of spreading the spores. I’ll have to try that too. How do you clean and store them? Also for how long are they good for in the fridge? We do a salt water soak for ours in Missouri. For cleaning, I simply wipe the dirt off with a damp towel. I haven’t been successful at keeping enough around long enough to store them in the fridge, but I love the idea of a salt water soak to make them last longer!!! Put them in salt water in your refrigerator over night. Worms and bugs that have gotten inside will come out. Then rinse under cold water and use.